1. 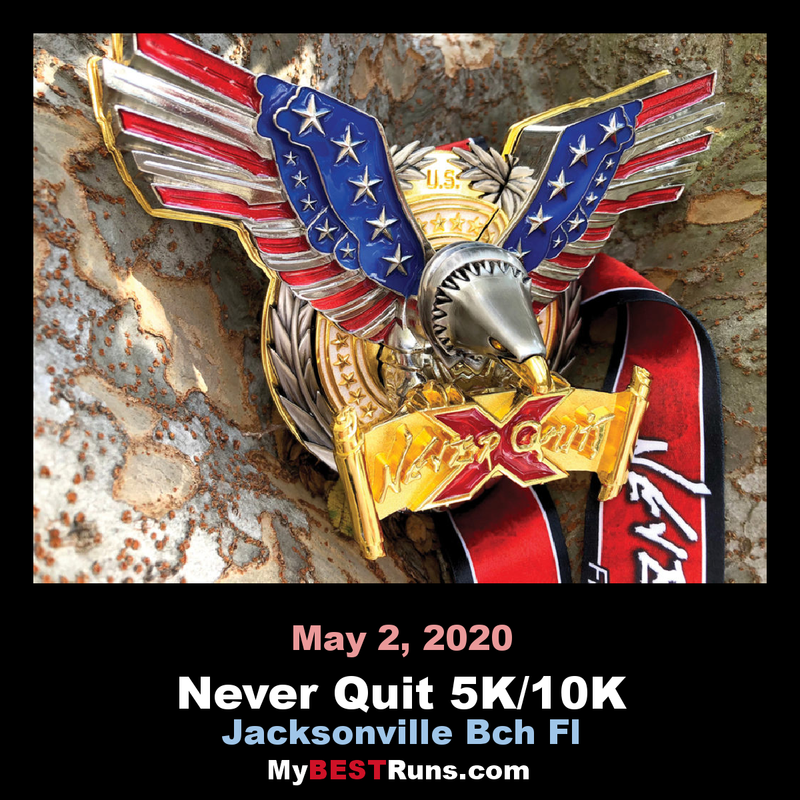 The new, spectacular 10 Year Celebration "X" 3D Eagle Medal, larger, heavier and more striking that any finisher medal ever created since time began. 3. Highest quality, beyond soft, NEVER QUIT t-shirt & tank-tops for men and ladies/females You get to choose your favorite shirt or tank, so you get exactly what you love and want to wear. This is unlike any other run. 5. 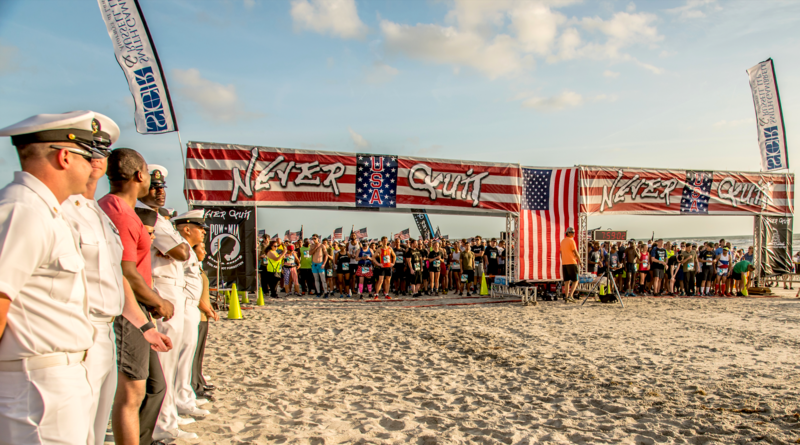 When you register for the NEVER QUIT run in the United States, you directly support NEVER QUIT shirts and bibs mailed and given for free to deployed U.S. Armed Service members in war zone areas in the Middle East by NEVER QUIT. You will now have those defending your liberties abroad, running with you in spirit over there, while you run here in the free U.S.A. The run heads in a Southerly direction and turns around at the following location and returns back to the start/finish.